Topspin Tennis – Is More Better ? Topspin Tennis is dominating the men’s pro game these days. Players like Nadal and Federer can generate incredible spin especially with their forehands. 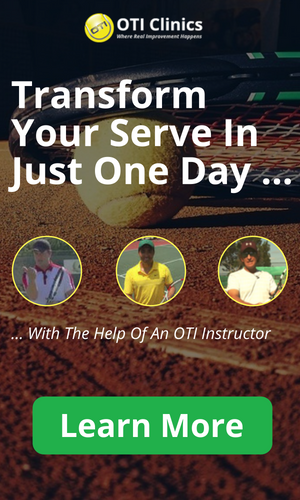 As a result Topspin has become one of the most discussed subjects among tennis players. how much topspin one should play with! What exactly is topspin ? Topspin is the word used for forward rotation of the tennis ball. The tennis ball can rotate forward, backward or sideways. When hitting slice shots for example players usually make the ball rotate backwards and sometimes also sideways. With topspin shots from the baseline the ball usually rotates just forward. Very rarely do players add additional sideways rotation to their topspin shots. How do you create topspin ? brushing up the back of the ball! This motion should be straight up and down in order to develop true topspin. Looking at high level players in super slow motion you will see that around contact the racket almost always moves straight up the back of the ball and forward depending on what type of ball they are hitting! Check out this video of Nadal brushing up the back of the ball to create tons of topspin! So how much topspin tennis should you play ? Contrary to what many people believe more topspin is not always better! All the pros hit with plenty of topspin of course and most recreational players need to work on developing topspin. There is always a trade-off between spin and speed! The more spin you try to generate, the less your ball will usually penetrate or go through the court. On the other hand the more spin you add the safer your shots will usually be. 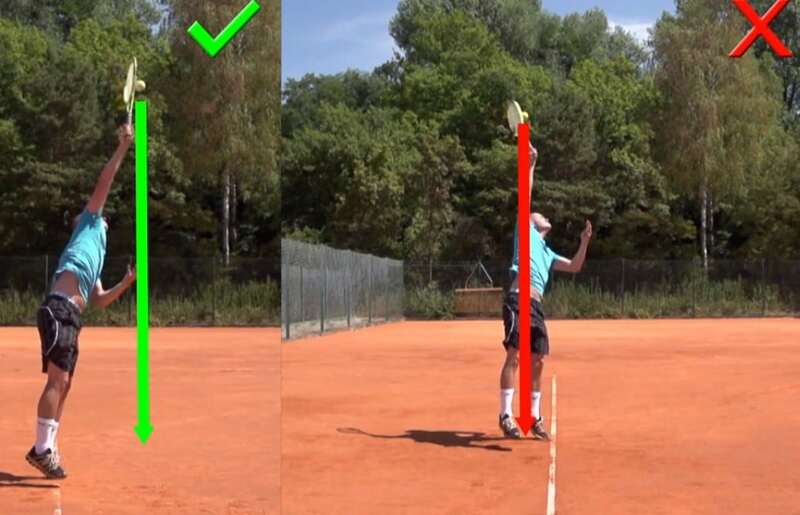 Finding the optimal mix of speed and spin is the key for every tennis player! The men on the pro tour generally use a lot more topspin than the women. So should the women try to play more topspin tennis ? I don’t think so because they are not able to generate the heavy topspin that the men can generate. So when they try to hit with a lot of spin their shots end up sitting up and not penetrating the court enough! Too much topspin can lead to loopy shots that are easily attacked! So should you try to hit with more topspin or not ? The answer depends a lot on your game and who you play against! In general, I would say that recreational players are better off with moderate amounts of topspin so that they can still hit through the court! Ideally of course you want to be able to hit with heavy spin and flatten out your shots depending on the situation! Roger Federer is the perfect example. With his forehand he has so many options it is unbelievable. He can take the ball early, drive it flat down the line and hit heavy topspin shots deep into the court. Most of the other players on the tour do not have that kind of variation with their forehands. They either hit almost every ball with heavy spin like Nadal and Roddick for example or they hit a flatter ball most of the time like Hewitt and Baghdatis for example. Unfortunately, not many people will be able to vary the spin as much as Roger of course. 1. If I try to add more spin does this cause my opponents more or less trouble ? 2. How well can I hit/control my flatter shots and how much trouble do opponents have with these balls ? 3. Is it more important for me to miss less (indication for more topspin) or do I need to focus on being more aggressive (indication for flatter shots) ? 4. Is my game more successful from way behind the baseline hitting high topspin shots or am I more effective standing closer to the line and hitting flatter ? 5. Am I good at the net ? Do I want to get to the net frequently ? If the answer is yes then heavy topspin from behind the baseline is probably not your best option!